Mulund, Mumbai: 60yr old Ahmed Musa had always wanted to be an active person;however, while at home engaging in some chores he took a fall. The next day, Musa started experiencing severe pain in his hip and could manage to walk only for a short time and hardly cover any distance.Due to the constant discomfort and pain in his hip, he was unable to perform any physical activity with ease. This hampered his daily routine, heavily impacting his sleep. Before being referred to Dr Bhonsle for a surgical opinion, Musa tried less invasive solutions such as medication and physiotherapy; however, it dis not improve his condition.His condition started worsening and by the time he met Dr Bhonsle, he was wheel-chair bound. The patient’s history revealed that he suffered from Cardiomyopathy and had a Cardiac Pacemaker implanted in 1992 and was wait listed for a heart transplant. Dr.Bhonsle was fixated in a situation where a decision to go ahead with the hip surgery on Musa was the ideal step, as the surgery was a high risk one. A regular hip replacement causes 200-250ml loss of blood, thus putting Musa’s life at a high risk as he would not have been able to pull through with the amount of blood lost. To control bleeding a device called electrocautery needs to be used during surgery. But pacemaker which beats his heart will get damaged by electrocautery. After meticulous consideration, Dr Bhonsle opted for the MIS (Minimally Invasive Surgery) route, assuring the patient that he would be able to walk normally again without any complications in his overall health. Talking about the surgery, Dr Sachin Bhonsle, Senior Consultant Orthopaedic Surgeon, Fortis Hospital, Mulund, said,“We opted for a Minimally Invasive Surgery route to prevent blood loss. 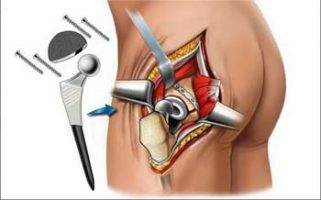 Since Mr. Ahmed was on blood thinners, a small incision was made; the muscles separated and not cut, for the hip joint to be replaced. Considering the risk of blood loss the patient could have died on the table. However, the surgery was conducted with absolute precision without using electrocautery,, the patient lost just 25-30 ml of blood and the surgery was a success”. Post the success of the surgery, Musa witnessed significant relief, walked home on third day and is now walking without any discomfort with his hip functioning to its full potential. With no regrets and content about his decision to go ahead with the surgery, Musa is now living a healthy and active lifestyle. Cardiomyopathy is a disease of the heart muscle. Cardiomyopathy makes it harder for your heart to pump and deliver blood to the rest of your body. It can also lead to heart failure, which makes it a serious condition. Pacemaker is a small device that’s placed in the chest or abdomen to help control abnormal heart rhythms. This device uses low-energy electrical pulses to prompt the heart to beat at a normal rate. Pacemakers are used to treat arrhythmias. Arrhythmias are problems with the rate or rhythm of the heartbeat.